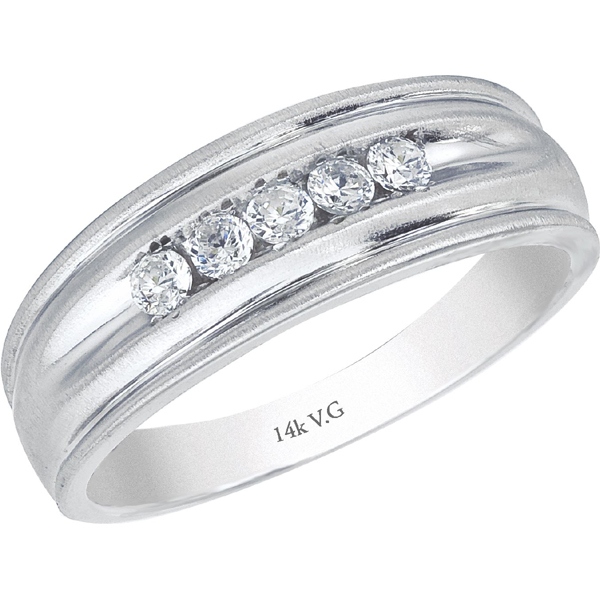 This 14K white gold man's wedding ring, features 5 brilliant cut in channel. This ring is patented. This ring is patented. Patent numbers US 7,637,123 B2 and US 7,080,678 B2.